Though we are currently still in the icy grips of winter, there is no reason why you can’t start looking forward to the warmer weather and planning your dream garden. After all, you want to make sure that your garden is ready to be enjoyed as soon as you can start getting outside again on a more regular basis. You may be thinking about planting some colourful flowers or growing your own vegetable garden. Whatever the case, we will be giving you a few tips here which you can start to put into action. When it comes to gardening, everything really is all about the timing. If you start your seeds indoors, this can help to give you a head start before you move into the proper growing season. This is also a cheaper approach than buying starter plants. It is worth taking the time to work out when your garden’s last frost date is likely to be so that you know when to put them in the ground. Though you may not want to be undertaking any large-scale projects just yet, there is no reason why you can’t get planning now. You may be wanting to add a greenhouse to your outdoor space, so check out Victorian greenhouses as well as all the other different styles which are out there. Perhaps you are considering putting in some decking or a patio. If you are planning on doing this yourself, it is worth brushing up on your techniques now. We created a rose garden for ourselves but it was a lot of work! If you are going to hire someone, try to secure their services at the earliest possible opportunity. Your gardening implements will work their best when they are nice and sharp. So, before you start using anything like pruning shears, shovels, and other tools, take the time to sharpen them up. You may even find that your lawn mower blade needs a bit of a tune up before you let it loose on the grass again. If you take care of your garden tools on a regular basis, they are much more likely to last you well into the future. Though it is not quite the time of year to get your soil and compost ready, it doesn’t hurt to start thinking about what you need to do. So, if you had a particularly big harvest last year, the nutrients in your soil will be seriously depleted. Test the pH balance of the plot with a simple soil test kit so that you know the type of amenity that you need. Use weed killers to get rid of all unwanted plants from your plot. It is also worth thinking about preparing some compost. There are plenty of things that you can use such as food scraps, leaves, and lawn clippings. You can also use these common kitchen ingredients. A 4-inch layer of compost should be worked into new beds to prepare them for planting. Winter is the ideal time of year to give your trees and shrubs a quick pruning. This is because it is before the warm weather and new growth starts happening, which is when the risk of disease is increased. However, you need to make sure that you are doing it properly. Otherwise, you can end up causing a great deal of damage to the tree or shrub. For fruit trees, you should start to prune them before the buds break into bloom or you could end up getting a smaller crop. Another job that you can complete is to divide up perennials. You should be aiming to match plants to the environment that they will be living in – the soil, lighting, climate conditions etc. Even the most accomplished of gardeners will have a hard time making plants thrive in conditions that they are simply not suited to. Thankfully, a lot of the most common vegetables to grow don’t require too much maintenance if you are planning to create your own patch. A good idea is to map out your garden to work out which plants will grow best in each area of the space you have to work with. Though there isn’t much that you can do in the garden in winter in terms of practical work, making a plant of action will give you a major head start. So, why not makes a chart that lays out when you need to plant and harvest everything. Something like a Farmer’s Almanac can help to spell everything out for you. The more research that you do, the more prepared you will be for the warmer months ahead. Of course, gardening is a fun hobby, but it also can be a very challenging and time-consuming one. There are numerous ways that you can make it that little bit easier for yourself. As an example, you could start to calibrate your sprinklers so that they always water your lawn in the right way. If you find it difficult to always remember to water your garden, you could build a drip irrigation system that does the job for you. Like many things in life, gardens are becoming extremely high-tech, so it makes sense to use all the tools at your disposal. Even if you don’t have too much space to work with at all, creating a garden layout can help you massively when you are planning what to put where. Rounded edges could give you more space to work with, while you could also try a raised bed garden. Potted plants also help to save space. So, these are just a few of the ways that you can spring into action and prepare your garden for the coming months. The more prepared you are now, the easier that things will be when spring finally starts to emerge once again. Happy planning! That picture with the caption ‘preparing your soil for planting in the spring’ is used as illustration for my gardening column in the Aptos Newspaper (and its related newspapers) that I write for, but I do not know where it came from. I do not such generic picture for my gardening column; not that there is anything wrong with it. I just would prefer to get a better and perhaps more relevant picture. Not that it is a ‘bad’ picture or anything; I am just sayin’ . . . I may not follow through, but it’s nice to know what kitchen waste is useful. That’s good to know. There are only two of us, but we generate more than our fair share of coffee grounds. Middle of Summer here, so I’m going to file this one away for when I need it. Definitely planning to try growing from seed this year, and I love the idea of automating the worst tasks. Did you know there are robot lawnmowers now? What a world! I can’t bear coffee. Don’t like the smell or the taste, and it upsets my tummy. Why I decided to put spent coffee grounds on my garden is still a mystery, but it’s an exercise I’ve never repeated. Give me the smell of flowers any day of the week! 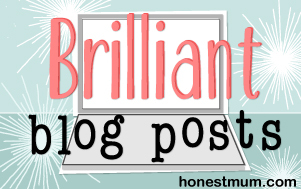 I just wanted to say I like your blog so much I’ve recommended you for the Liebster Award! Hi Sophie, the tips that you shared about gardening are awesome. It help me a lot to create a plan of when to plant and harvest. Thanks for sharing such a wonderful post. You are very welcome, Jane. Glad you found this post useful. Very inspiring post especially for starters. I have moved into a bigger house with a small garden and am very excited about growing vegetables in my backyard. Thank you for sharing these awesome tips! !